GENEVA, April 16. /TASS/. Spiez Laboratory’s Head of Strategy and Communication Andreas Bucher told TASS on Monday that he could not comment on information announced by Russian Foreign Minister Sergey Lavrov on Saturday that the samples from Salisbury contained BZ nerve agent and its precursor, part of chemical arsenals of NATO countries. The laboratory "is contractually bound to the OPCW for confidentiality" and has no authority to make any statement on that, Bucher explained. "I’m sorry, we cannot have any statement on that, because as you are aware we are a designated laboratory of the OPCW, and the OPCW has rejected the Russian request for making public the involved designated laboratories in this Salisbury investigation," he explained. "And we are contractually bound to the OPCW for confidentiality. So the only institution who could confirm what Mister Lavrov was saying on the weekend is the OPCW. We cannot say, or confirm or deny anything," Bucher stressed. An independent analysis of the chemical used in the Salisbury incident has uncovered traces of chemical weapons that were part of the chemical arsenals of the United States, the United Kingdom and some other NATO members, Russian Foreign Minister Sergey Lavrov said on Saturday at an annual Assembly of the Council on Foreign and Defense Policy. The foreign minister referred to information from the Spiez Laboratory received on conditions of anonymity. He said the analysis of samples discovered traces of the toxic chemical BZ and its precursors falling into the second category of chemical weapons under the Chemical Weapons Convention. "The abovementioned ‘formulas’ have been in service in the United States, the United Kingdom and some other NATO members," he went on citing the report. "Neither the Soviet Union nor Russia has ever developed or stockpiled similar chemical weapons. The diplomat said the Russian side was asking the OPCW why this information had not been used in the final report. 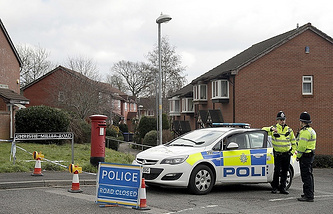 On Thursday, the international chemical weapons watchdog, the OPCW, published a report on the results of the investigation into the Salisbury incident in England. 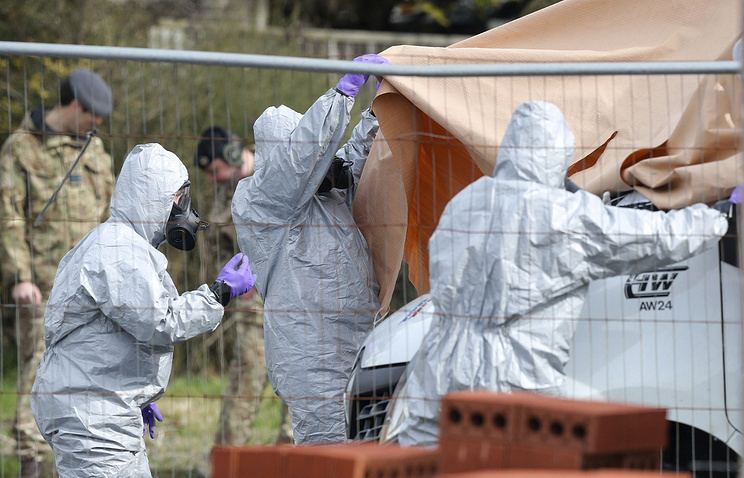 The document confirms that a toxic chemical agent was used in the poisoning of former Russian military intelligence officer-turned-British spy Sergei Skripal and his daughter Yulia. However, the report did not identify the source.